Scottish manufacturer, Vert Rotors produces compact, high-pressure and low-vibration gas compressors based on its proprietary technology from their design and CNC manufacturing facility in Edinburgh. Their latest innovation, the world’s smallest high-pressure clean air compressor was first developed initially for space travel but the company have adapted it for commercial applications on Earth. 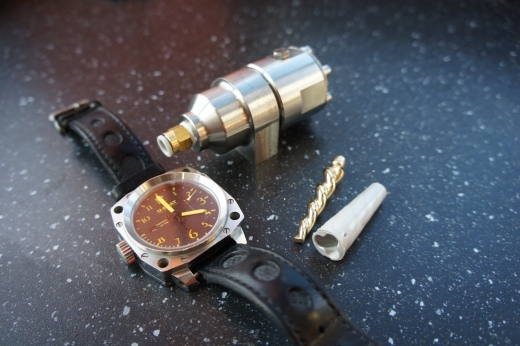 The VERT.04.W compressor – which is barely bigger than the face of a wristwatch – is the world’s smallest high-pressure and low-vibration clean air compressor. The technology first was unveiled as a prototype satellite cooling system for the Ministry of Defence’s Centre for Defence Enterprise, which aims to improve significantly the quality of infrared imaging. This new version of the compressor is a low-noise, low-vibration desktop compressor. It produces clean air compressed to 115 pounds per square inch (psi), nearly four times higher than the current generation of industry-standard small compressors, which struggle to produce more than 32psi. Vert’s water-injected compressor uses water injection instead of machine oil, eliminating the risk of contamination. The total global market for industrial compressors is expected to reach more than $17.5 billion (£14.3bn) by 2017, with compressed air accounting for 10 per cent of industrial electricity demand. Vert’s conical compressors provide the highest pressure-to-mass ratio in the sector and are chiefly designed for aerospace, medical and other applications where vibration and noise are not acceptable, and dimensions and weight are critical. 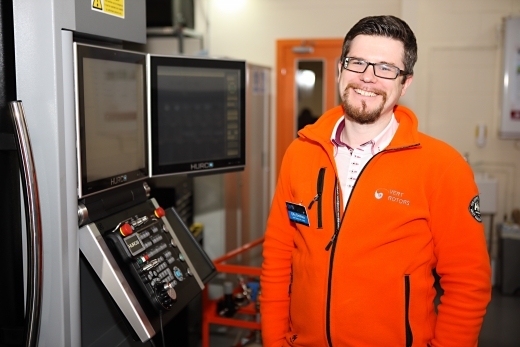 Olly Dmitriev, CEO at Vert Rotors, said: “Innovation in compressor design is glacially slow – our device is the first new design in the last 30 years to come to market. As for micro compressors, the current design was developed almost 100 years ago, no wonder they cannot achieve low vibration when working at high pressure. “The VERT.04 and its water-injected version VERT.04.W will be transformational for the aerospace and medical sectors. “Air compressors are used in multiple applications, from producing pharmaceutical drugs to aerospace engineering. Current models are noisy and vibrate a lot, which is a challenge to meet customers’ expectations. Dmitriev added: “Having oil-free air is also critical in sterile environments such as hospitals, dental clinics, food or electronic production plants. “Oil is the most-efficient lubricant to make sure compressors operate at maximum efficiency, but oil particles can contaminate the air that’s being produced. “Water is the natural alternative, but the current generation of water-injected compressors that are small enough for medical applications struggle to operate efficiently or produce the high pressure that’s needed. Three-quarters of Vert Rotors’ customers are based outside the UK and include Fortune 500 manufacturers in the European Union and the United States. The company, which was founded in 2013, has recruited seven staff in the past year, taking its headcount to 10 and in July, the firm secured £1.5 million from investors Equity Gap, Par Equity, the Scottish Investment Bank and US-based syndicate Aero-Den. Olly Dmitriev is a technology entrepreneur and angel investor with 15 years’ experience in software project management and a dual executive master of business administration degree from the Columbia and London business schools.